Both of these stand mixers from Kitchenaid have been well-received by previous buyers because they do what they intend to do. 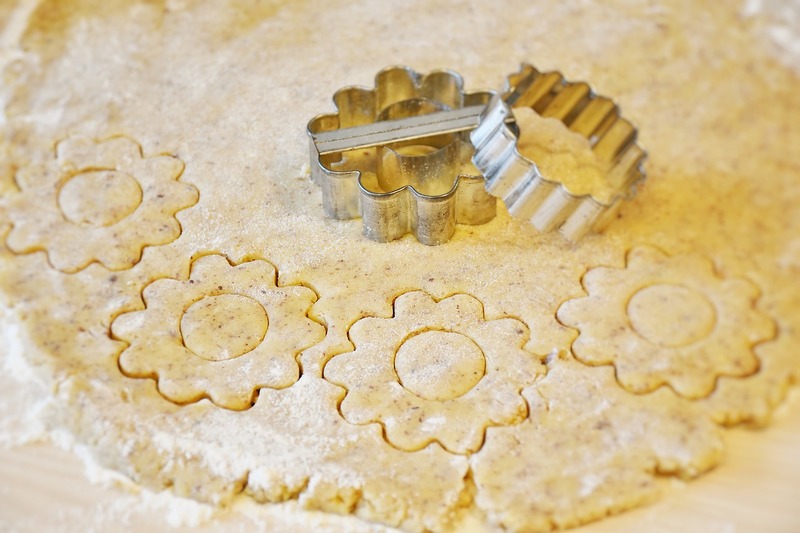 They make baking much easier and faster, and they’re the perfect mixer if you have ample countertop space. If you bake a lot, ditch the hand mixer and have one of these heavy-duty machines. But which one should you choose? Kitchenaid KSM150PS vs KSM75… First, it pays to know what their differences are. Find them in this comparison report. Let’s get started with this chart. Based on the chart presented above, these Kitchenaid stand mixers have a lot of differences that you need to consider. We list them down below. Let’s start with their bowls. 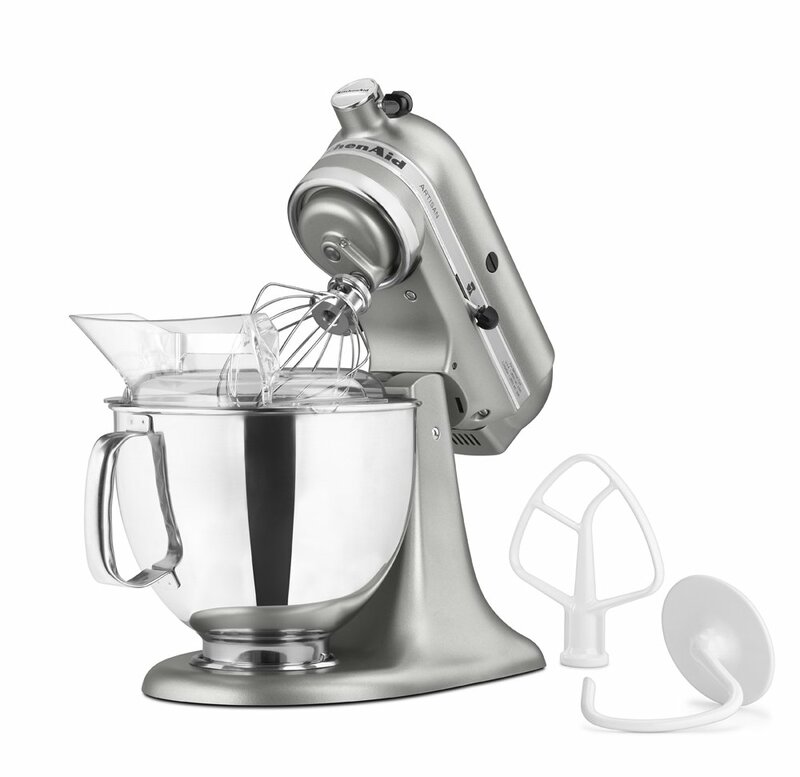 The Kitchenaid Artisan (KSM150PS) comes with a bigger bowl, which is rated at 5 quartz. In comparison, the Kitchenaid Classic Plus has a slightly smaller capacity at 4.5 quartz. When it comes to the materials, the Artisan has a much shinier appearance because it’s made of polished stainless steel. The Classic Plus (KSM75), on the other hand, is made of brushed stainless steel. Let’s not forget to mention that the Artisan’s bowl comes with a handle. The Classic Plus’s doesn’t. The Kitchenaid KSM150PS comes with a pouring shield, which is super helpful to prevent messes when adding your ingredients. It should also make the process easier and quicker. Unfortunately, the Kitchenaid KSM75 doesn’t come with one. The KSM75 is available in 2 colors – white and silver. The KSM150PS has more than 20 color options, which include aqua sky and matte violet. 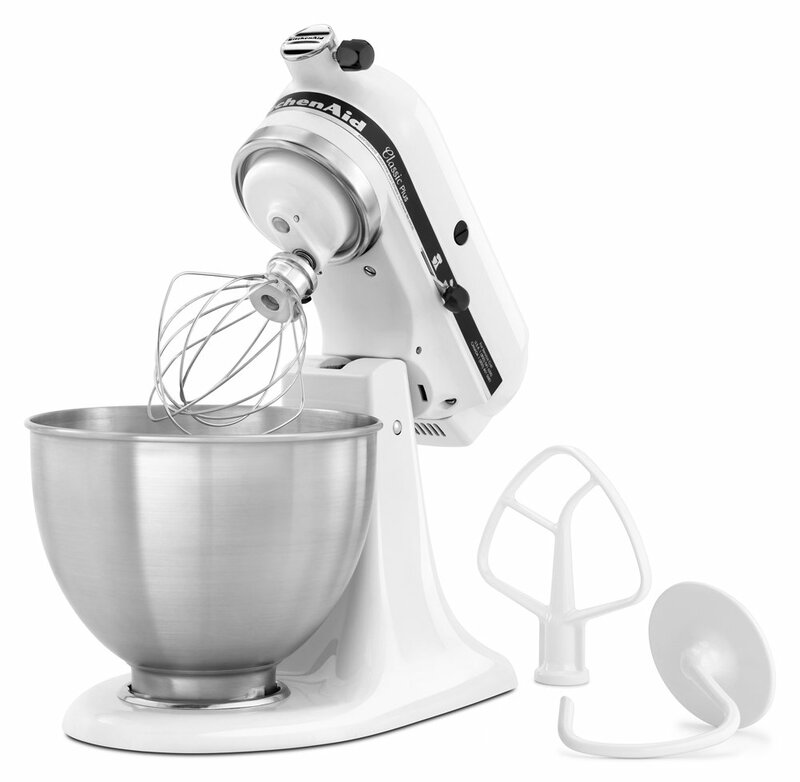 Also Read: Kitchenaid KSM75 vs KSM95 Mixer: What’s the Difference? Which of these two Kitchenaid mixers should you buy? 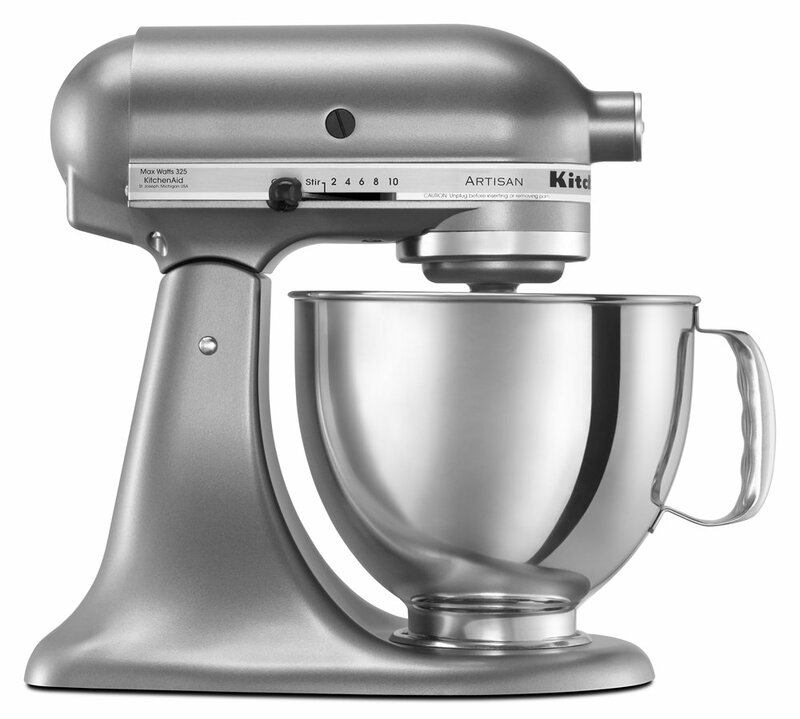 Get the Kitchenaid Artisan (KSM150PS). Not only does it come with a beautiful polished stainless steel bowl with a handle, but it also has some extra features/parts that will definitely make your baking so much easier and quicker. It has a pouring shield and a bowl handle.